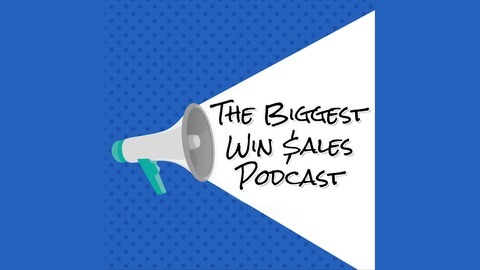 The Biggest Win Sales Podcast explores the sales stories, insights, and wisdom of thought leaders, sales experts, and top producers. Alexander Laurin interviews world class sales professionals who enjoy coaching, teaching, and mentoring the new generation on how to better understand the scenarios they will eventually face. 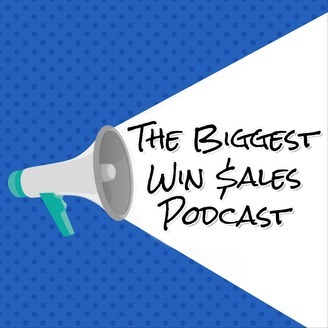 On this show one can hear advice on how to take their sales career to the next level and also learn what it takes to reach the upper echelon of the sales profession. Improve your income and enhance your lifestyle through the ideas shared in these interviews with the greatest sales people on the planet. Jon Bartos People focused on performance hitting their potential. That has been Jon’s life work. As many have introduced him, Jon is the quintessential thought leader, trainer, speaker and consultant on all aspects of Human Capital, Talent Management and Sales Performance Management. After a 17-year career in the Supply Chain Technology – Auto ID industry, Jon realized the strong demand for talent and for companies who could deliver high performing talent. He then purchased a Management Recruiters International franchise in November of 1998 and away he went. As President and CEO of his new firm, MRI/Jonathan Scott International in Ohio, Jon achieved industry-leading success as one of an elite group of executive recruiters who billed over $1 million annually while building a multi-million dollar top 10 Office. In a 10year period (1999–2009), he cashed in over $10 million in personal production and established JSI as a top 10% executive search and staffing firm winning 17 international awards in the MRINetwork. Today Jon is also still on a desk. As of today, he has billed over 17 million in personal production since 1999. Jon sold the business in 2012 to a large healthcare consulting firm. In 2015 – he started a new firm, focus on Retained Search - Global Performance Search. Today, GPS has offices in Toronto, Ohio, Kentucky, Colorado and Medellin, Columbia. GPS is a leader in talent solutions for Software Firms, Implementation Partners and end users in the HCM/HRIS Markets in North America and Europe. In 2008 Jon founded Revenue Performance Management, LLC the leading Analytics tool that is changing sales organizations overnight. The RPM Dashboard is a Sales Analytics and Developmental tool that focuses on taking sales professionals on a path to achieving their Sales Performance Potential. Period. Currently the RPM Dashboard is used by over 500 companies worldwide. www.rpm-usa.com. Through jonathanbartos.com which was founded in 2011, Jon has personally coached over 500 business owners and executive leadership to help them achieve their vision. Jon has been rated as the top speaker at many industry events and has had an opportunity to speak with audiences all over the world including South Africa, Canada, New Zealand, Ireland, Scotland, Bulgaria, Australia, Greece, France, UK and North America. His three block buster seminars “Contingent to Retained (Mutually Committed)” to the Executive Search Industry, “Hiring High Performing Teams” and “Passion for Performance” to the C Level and Sales VPs are offered at various locations world wide and online. In the last 10 years Jon has published over 100 articles, 10 white papers and 3 books on the above topics. Jon’s events and seminars are held at major cities all around the world and at the Red Gate Farm and Vineyard in Quincy, KY or Pagosa Springs, Co. For fun, Jon is an avid outdoorsman, Grape Farmer, Musician, Songwriter and still competes Nationally in Masters Track and Field in the Pole Vault event where he has been 4 times Nationally Champion since 2004. When not traveling, Jon resides at his home and Office at the Red Gate Farm and Vineyard in Quincy, KY or his Ranch/Office in Pagosa Springs, CO. Jon can be reached at 513-515-1267 or jon@jonathansbartos.com.